People expect “home” to provide independence, accessibility, safety and peace of mind – regardless of disabilities, limitations or health challenges. Many are choosing to stay in their homes for as long as possible to avoid moving to independent living and senior-care communities. This movement isn’t restricted to people who are aging. It applies, as well, to patients with sudden health changes – due to accidents, stroke, spinal cord injury – as well as to those with degenerative conditions such as arthritis, amyotrophic laterals sclerosis (ALS), dementia, muscular dystrophy, multiple sclerosis or Parkinson’s Disease. For people who desire to remain at home, will the house where they are living sustain their independence for years to come? Could they come home after a hospital visit to recover from surgery or illness, or would they need to go to a rehabilitation or nursing facility? As mobility diminishes, what home modifications and changes would be essential to ensure accessibility and safety? The Centers for Disease Control and Prevention estimated that one in five Americans—about 53 million people has a disability of some kind. The American Community Survey in 2014 indicated that 36% of the U.S. population 65 or older has a disability. Additionally, 23% had difficulty walking or climbing stairs. Register for an upcoming webinar on universal design for aging in place, Homes That Make Life Easier: A look inside the Universal Design Living Laboratory, hosted by Rosemarie Rossetti, Ph.D.
People of all ages and abilities need to live in a home safely, independently and comfortably. On June 13, 1998, my husband, Mark Leder, and I went for a bicycle ride on a rural wooded trail in Granville, Ohio. After riding for a few minutes, Mark thought he heard a gunshot and slowed down to investigate. As he scanned the scene he saw a large tree falling. He shouted, “Stop!” But the warning was too late. I was crushed by a 7,000-pound tree and paralyzed from the waist down. Coming home from the hospital in a manual wheelchair after my spinal cord injury, I realized how my two-story home intensified my disability. My husband and I knew that we had to sell our home and find something more suitable. In September 2004, we hired an architect to draw the house plans for our new home in Columbus, Ohio. There was a steep learning curve for me in ramping up to build our home. We assembled a team of interior designers and over 200 corporate contributors to assist us. Serving as the general contractors, my husband and I spent 32 months building our home. This home, named the “Universal Design Living Laboratory,” is the top-rated universal design home in North America, earning three national universal design certifications (view the virtual tour at UDLL.com). Having lived in the Universal Design Living Laboratory using a wheelchair for the past five years gives me a unique perspective. I have learned the importance of space planning and that small differences in the width of a door, height of a threshold or slope of a ramp can impact a person’s independence. I have experienced the joy of rolling on hardwood and tile flooring. No longer do I have sore shoulders as I did when rolling on the carpet in my previous home. Safety features like grab bars in the toileting area and shower have kept me from falling, and they make transfers easier. There are many terms people read about and use when communicating about homes that enable families to live in their homes during their retirement. The terms include: universal design, accessible design, aging in place, living in place, age friendly, and forever home. 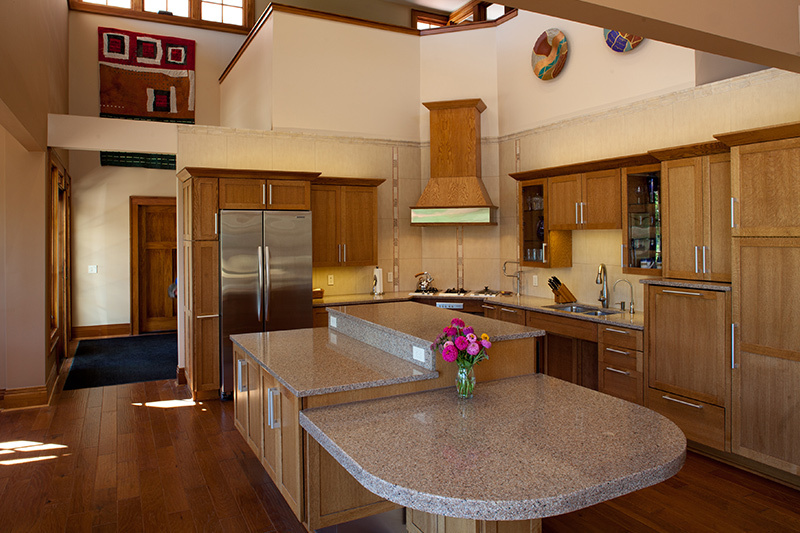 The concept of universal design has been embraced by architects, interior designers, and other design and building professionals since the 1980s. The definition of universal design is the design of products and environments to be usable by all people, to the greatest extent possible, without the need for adaptation or specialized design. Universal design should be transparent design. Universal design is an approach to planning that embraces diversity and inclusion by providing for equitable use while promoting efficiency, flexibility and sustainability. Universal design is human-centered design, accommodating people of all sizes, ages and abilities. Environmental factors in homes can be disabling or enabling. People need to design to human strengths, while accommodating for individual weaknesses and limitations. Design to work with, support, and enhance human functioning. 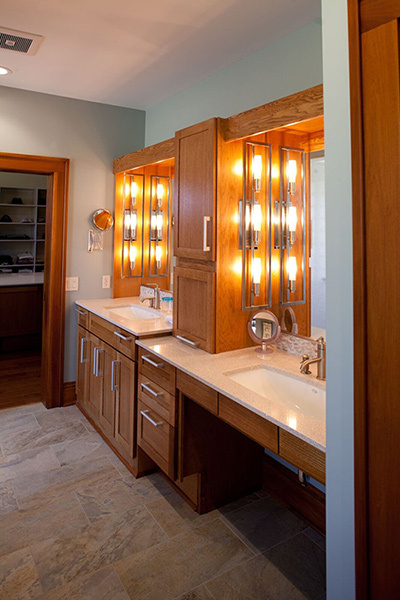 Life is easier when a home includes universal design features and products. By following universal design guidelines, a home will provide an improved quality of life for all occupants, not only those with disabilities. In addition to having more freedom in a home due to universal design, a home may also provide improved accessibility, convenience, safety, restore human dignity and provide peace of mind. As people plan to remodel or build a new home usability features need to be top of mind in the design phase. These suggested guidelines, features and products help create homes that make life easier, especially for those who use a wheelchair. 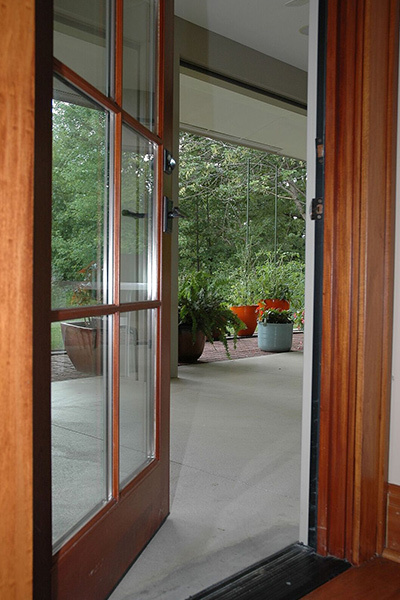 Door thresholds should be one-half inch or less, and exterior and interior doors 36 inches wide. Hardwood, tile, composite materials and linoleum are easier to navigate when using wheelchairs or walkers. Natural and artificial lighting increases safety for all. Side-by-side refrigerator/freezer provide easier access from a seated position. 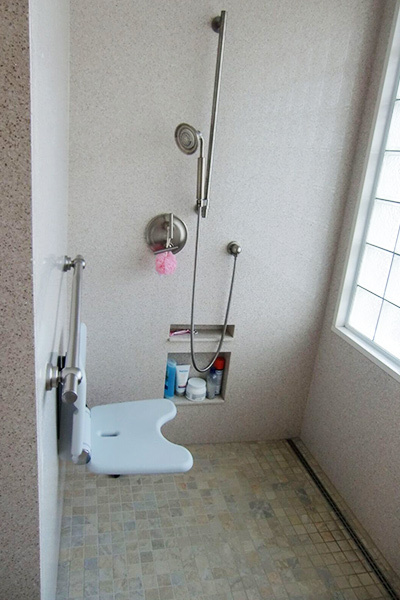 Shower chairs or benches can be mounted on the wall or used in portable form. How do you talk about aging when you are meeting with a client about their plans to stay in their home during retirement? When planning for retirement, a client’s home should be a topic of discussion. Does the client believe that they can stay in the current home for the next 10-20 years? Will the home need to be modified or remodeled in order for the client to maintain independence as they age? What would be the cost to remodel? How soon should action be taken? What are the risks of falling given the current condition of the home? When discussing a home remodeling project, point out that according to research by Genworth in 2016, the average cost for independent living is $43,536 per year. Then compare that cost to the investment they can make to remodel their home to enable them to stay in their home longer. Clients need to plan now for home renovations or a move into a different home. They need to make a wise decision and be proactive before realizing that the configuration of their house is limiting their ability to function in their home. 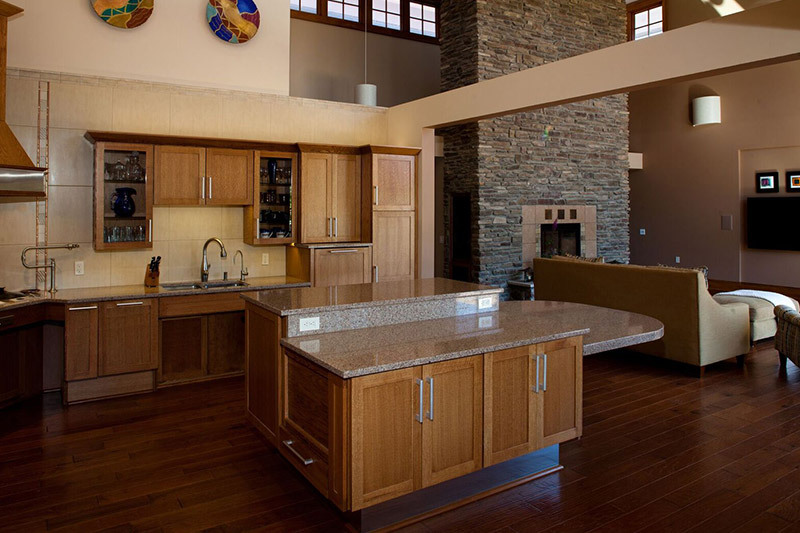 - By Rosemarie Rossetti, Ph.D.
Rosemarie Rossetti, Ph.D. consults with remodelers, builders, architects, designers, and consumers that want to create inspired and livable homes. She is an internationally known speaker, consultant, and author (RosemarieSpeaks.com). Her newest resource, the Universal Design Toolkit, is an illustrated 200-page e-book with online videos and webinars (UDLL.com/CSA). “Universal Design Toolkit,” Rosemarie Rossetti, Ph.D.
“The United States of Aging Survey," 2012, AARP. “The United States of Aging Survey” 2016, Genworth. “AARP Livable Communities Baby Boomer Facts and Figures” AARP.